I live and work in Aylsham, a ‘cittaslow’ town in Norfolk, a fine county with a big blue sky that once was famed for its rich and colourful textiles. 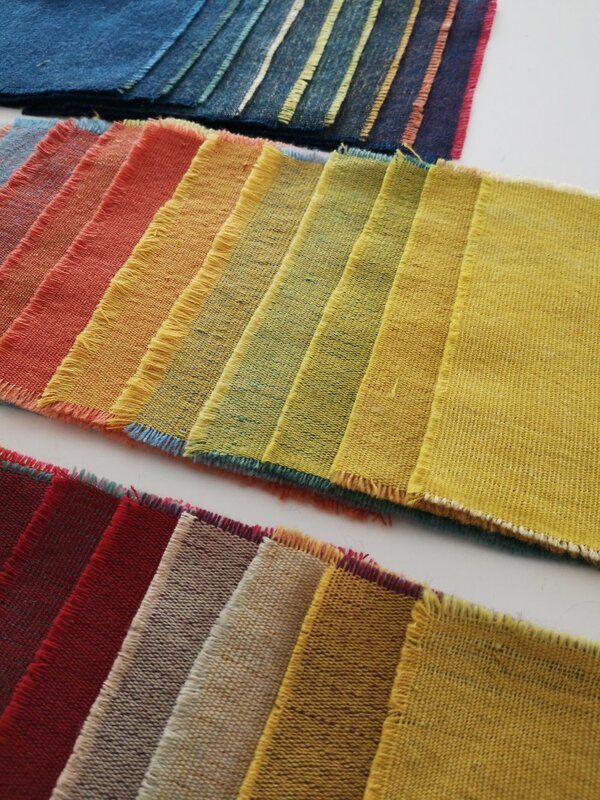 Inspired by a 'slow' ethos that celebrates artisan skills and local provenance of materials, I colour my world with natural dyes such as madder, weld and woad, using traditional skills to produce contemporary woven and stitched textiles. I am also passionate about sharing my knowledge and skills with others through workshops and creative retreats in Norfolk and Morocco. With a background in fashion in South Africa, I rediscovered textiles after a 'eureka' moment on a roof terrace in Marrakech in 2007, when I decided to quit my boring corporate job in the UK, follow my heart and become a full time art student. As George Eliot allegedly said... "It's never too late to be who you might have been"